Kokko Vit (aka Cosimo Vitolo) was born in Battipaglia in 1991. The first contacts with the music makes them since childhood, showing interest for the pop music of the 90's. To ten years, thanks to the teachings of the father, begins to make confidence with the vinyl and with the disco music of the years 70/80.With l'approach to djing, he developed an interest towards house and dance music. So he began to study from self-taught music production, remixing tracks famous in those days as "shine on" R. I. O. With the passage of time, and participating in many festivals, begins to approach even with the techno and it is here that the turning point of his career. In the techno recognizes the way to communicate a concept or point of view to those listening: through melodies or sounds incisive, composed his "point of view" on all that he sees or lives. His first album was released in December of 2016, entitled "feel the groove" produced by "CATSLOVEBASS". A year later, in 2017, Kokko began playing in some clubs of the province of Salerno he makes the acquaintance of some well- known faces of the international music scene such as : DJ TY1, Enzo Falivene, Alaia & Gallo, Fabio Ferro, Francesco Marano, and many others.In the same year Kokko is forced to stop everything: he is the victim of a very bad accident where his father loses his life, always a point of reference.A few months later he returns to the scene announcing his first EP of his career, "UBIQUITOUS EP" produced by "XPEZIAL RECORDS".Released on 16/01/2018 the ep contains two pieces: "Ubiquitous" in a melodic techno key and "Loser" in a techno house key. 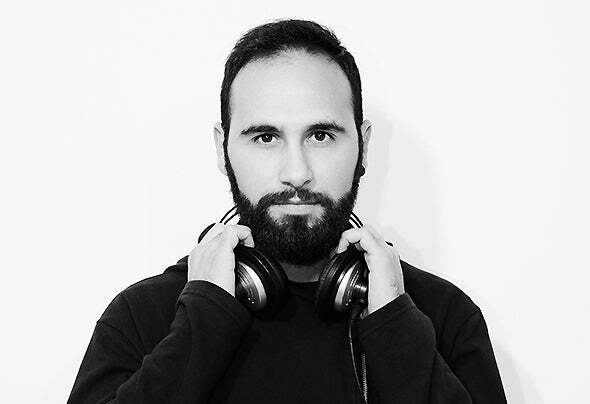 The entire EP, which is dedicated to the memory of his father, has the support of many internationally renowned artists such as:Antonio Grassia, Ben Teufel, Brian Cheetham,Broombeck, Carlos Beltran,Ilario Alicante,Loui Fernandez,Luigi Madonna, Mauro Alpha, Richie Hawtin, Sophie Nixdorf, Marco Carola, Paco Osuna and many others.